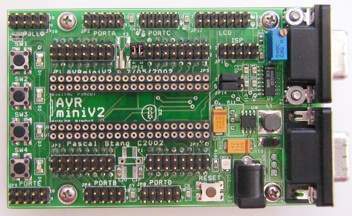 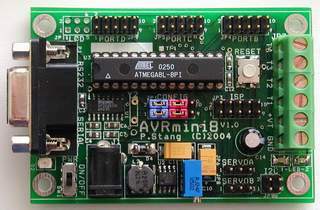 The AVRmini8 board is a miniature development board for the 28-pin AVR series processors such as the ATmega8, and ATmega44,88,168. 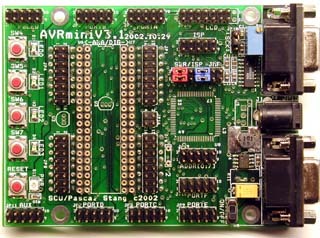 The AVRmini8 offers additional connectors and flexibility for I/O. 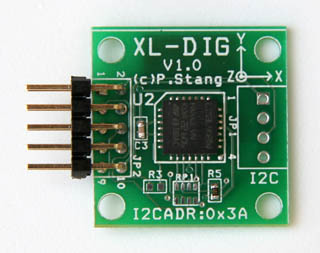 RC servos, analog and digital sensors, I2C components, and Character LCDs are directly connectable to the AVRmini8 without additional cabling. 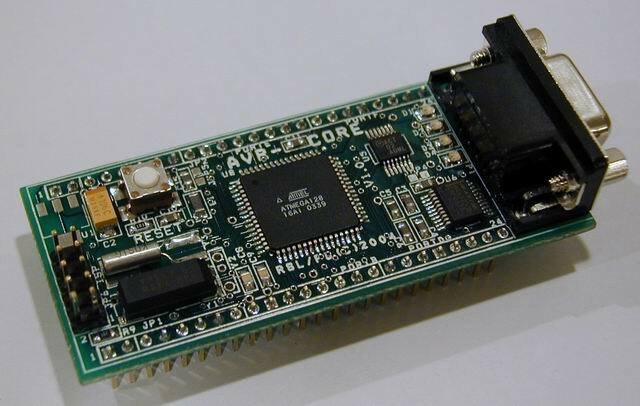 The AVRLinx board is a miniature development board for the ATmega16 and ATmega32 processors with an on-board wireless data transmitter and receiver. 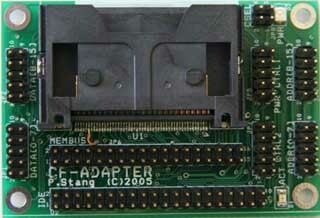 On-board Dallas 1-Wire hardware support (DS2482-100). 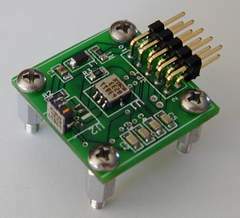 Board Size: 3" x 2" x 0.75"
The USBmini board is a generic all-purpose USB device interface for embedded systems that wish to operate on the USB bus. 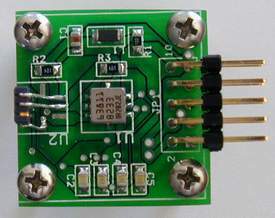 The USBmini is based on the USBN9603/4 USB interface from National Semiconductor. 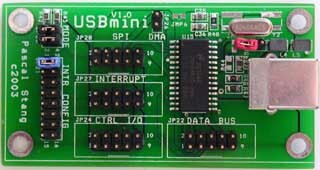 The USBmini is entirely generic and can function as any kind of typical USB device (keyboard, mouse, joystick, disk, midi port, serial port, audio input/output, etc). 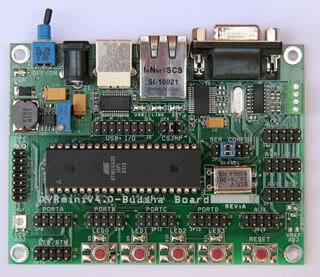 You are limited only by what you're able to program. 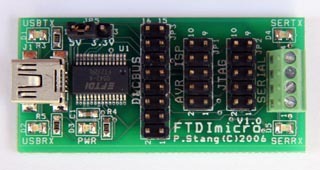 The FTDImicro Board is a general-purpose USB interface and programmer board. 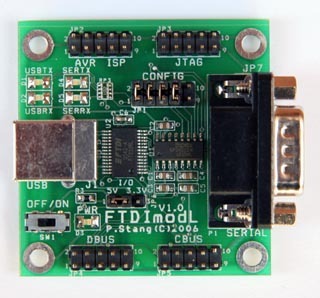 The FTDI module can serve as a USB-to-Serial dongle, as well as an AVR and FPGA/CPLD programmer. 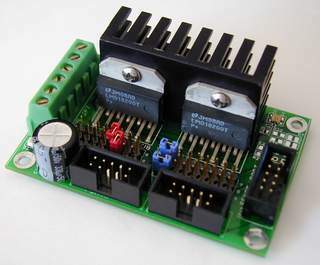 The FTDI Module Board is a general-purpose USB interface and programmer board. 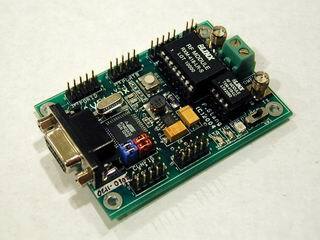 The FTDI module can serve as a USB-to-Serial dongle, as well as an AVR and FPGA/CPLD programmer.